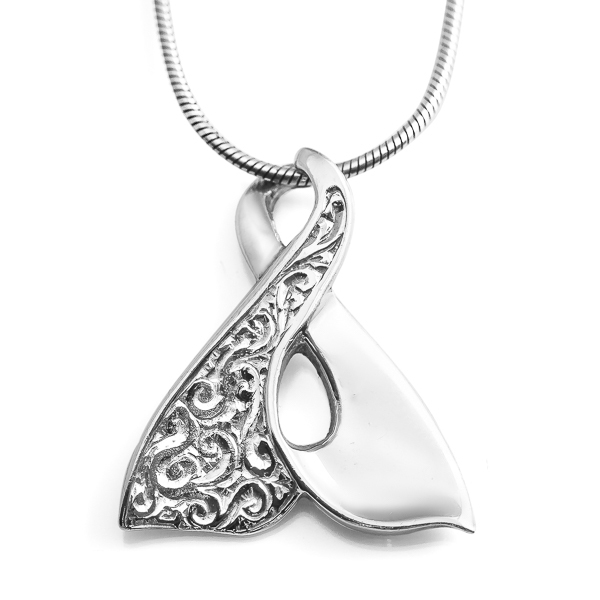 A stunning whale tail necklace that twists into an infinite loop with an intricate hand engraving on one side. This design was inspired by the never-ending journey of the humpback whale as it migrates thousands of miles back and forth across the sea every year! 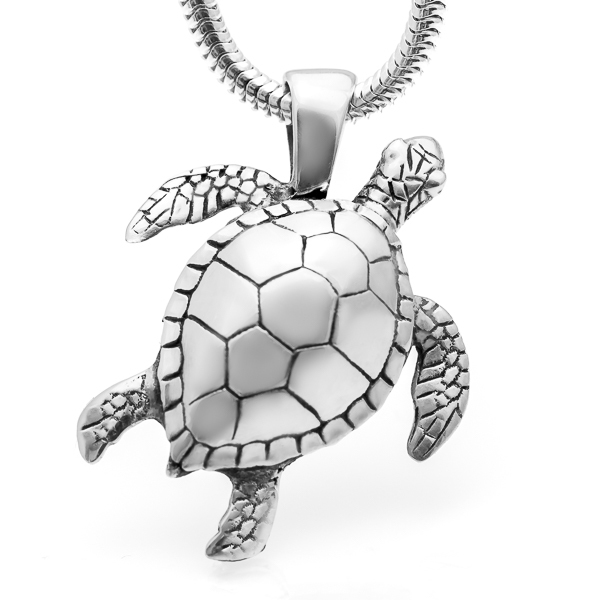 Wear this necklace as a symbol of hope that the whales and our oceans will be around for eternity. This pendant is available in sterling silver or 9 carat yellow gold (white gold, rose gold and other metals also available on request) and made with sustainably sourced Australian blue sapphires. Silver pendant comes on a 42cm sterling silver snake chain necklace in our signature World Treasure gift pouch. Gold pendant comes with a complimentary gold colored silk cord as well as a World Treasure gift box and bag. FREE SHIPPING WORLDWIDE on all orders!